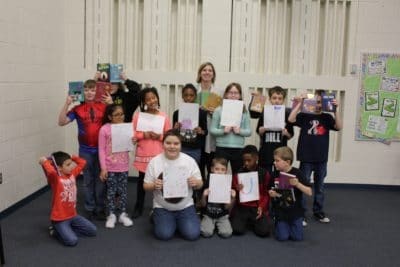 Thanks to the success of many fundraising efforts and the Major Saver Campaign, The Education Foundation will fund some grant proposals in the spring of 2019. Proposals may not exceed $500 per classroom or $1000 for school-wide grants. Grant Proposals will not be considered from persons who have received a grant in any 3 of the past 5 years. Any project that has been funded three (3) times shall not be eligible for review as a Grant Proposal. Grants will not be awarded for travel expenses or for purchase of equipment unless the equipment is integral to the project itself. Professional development opportunities will be considered as long as they support the innovative idea of the grant- NOT to meet continuing education requirements. Projects that further a specific political or religious philosophy will not be considered for funding. Educational jargon or acronyms should be explained. Submitting a proposal is not a guarantee that your request will be funded. We have two options for submitting your grant – You can download a PDF, complete the forms and submit them or you can simply complete a Google Form online. PDF – Download our grant application process HERE and follow the instructions for submitting it to the Foundation. 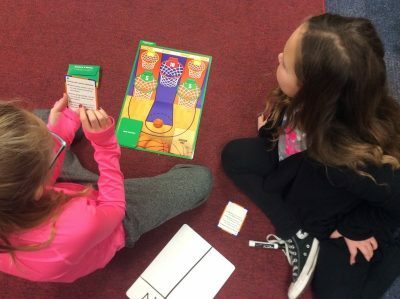 The 2018 Spring Grant Cycle Recap. We received 26 grant requests from 25 educators throughout FTCSC! 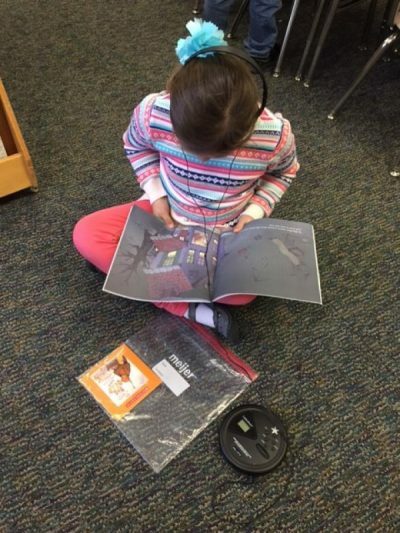 These requests included a variety of items from vocal development to books for diverse readers to materials for social and emotional learning. The review process was challenging for the F*TEF Grant Committee, as every request was well-written and meaningful. We are proud to report 25 or the 26 grant requests received full or partial funding, nearly $10,000.00! 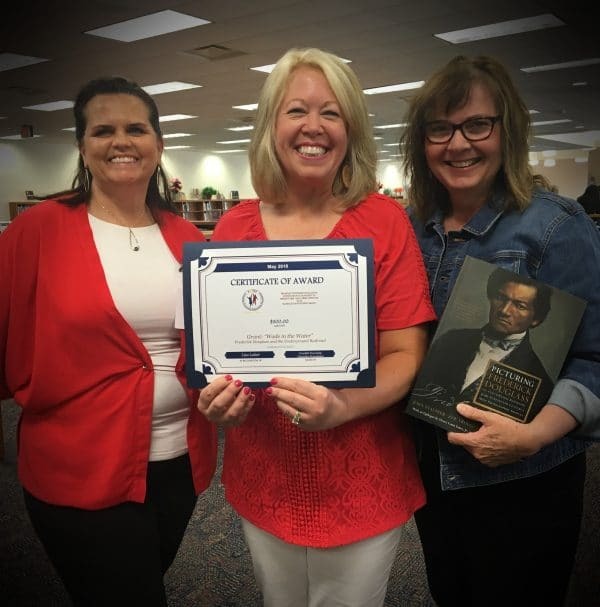 Mrs. Lisa Laker received the Rosalie Hawthorne Grant of Distinction for her “Wade the Water” – Frederick Douglass and the Underground Railroad request. Mrs. Laker will use the grant funding to visit the Frederick Douglass’ Home and gravesite at Mt. Hope Cemetery, along with Harriet Tubman and Harriet Jacobs sites and 25 Underground Railroad sites in New York. 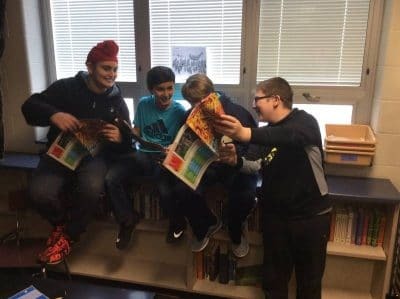 Mrs. Laker will create a virtual tour to share with FCHS students. 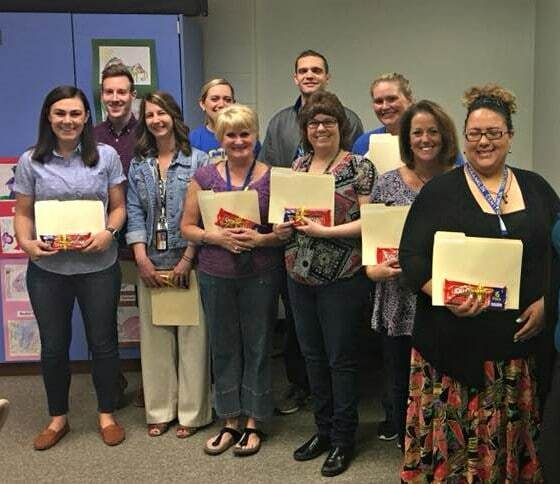 We received the largest number of grant applications from Acton Elementary educators. Great job, Tigers! Dianna Miller-Wilson, F*TEF Executive Director and Mrs. Beth King, F*TEF BOD Secretary presented Mrs. Laker with a certificate and special gift.